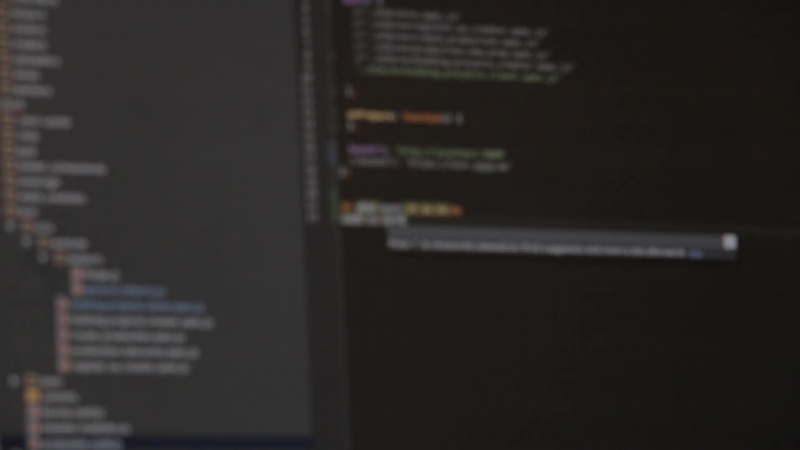 If competent software support from the likes of MultiMix is not used when picking a customer order in a shipping container, the packer will usually make sure that the shipping container chosen is not too small because this would lead to extra work for him and at the same time a lower picking performance. If the transport packaging chosen is too large, this triggers avoidable consequential costs: and not just the extra costs of the packaging and filling material. The risk of damage to both the picked products and the oversized shipping container grows. On account of the larger volume needed, additional costs are also incurred in subsequent stages of the logistics chain. Since all of the information necessary for subsequent logistics processes is provided by MultiMix before order processing, these can also be planned cost efficiently. The MultiMix shipping container selection can of course be extended according to customer specifications and customized to meet their needs. Interfaces to existing systems can be provided, for example, or packing slips generated with specific information. A number of companies regularly offer large quantities of components for a defined end product, e.g. 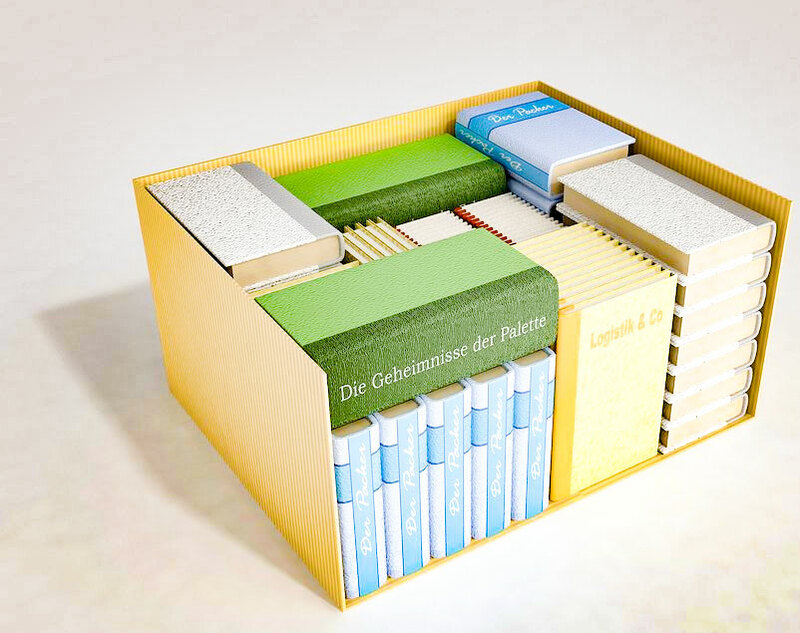 in the furniture industry, or a mix of different sized articles in one outer packaging for campaigns in the retail trade, or the retail trade is supplied with a fixed quantity of different articles in a bespoke transport packaging to restock shelves. On account of the large quantities, it is sensible to match dimensions of the outer packaging (and the transport packaging too if necessary) to both the requirements of the compiled content as well as the load carriers used, e.g. the pallet. MixKart offers an optimum solution to the problem in this case. 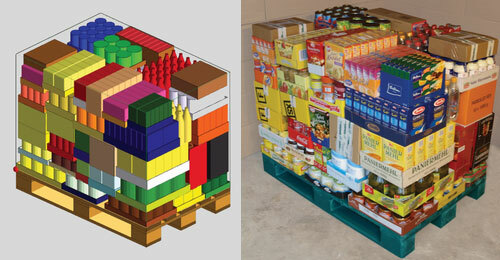 When picking larger orders with different articles on pallets, in roller containers and similar load carriers, as is the case, for example, every day for retail branches, a number of interdependent problems have to be solved simultaneously: the number of load carriers used for every order has to be minimized so as to minimize the order-related logistics costs in the subsequent processes. Similarly, the various customer- and article-specific restrictions have to be taken into account so as to guarantee the stability of the load unit. Further restrictions can be taken into account by MultiMix. This complex task is solved to the complete satisfaction of our customers during manual picking by the MultiMix module mixed pallet loading: each picking order is split into a minimum number of load carrier-compatible portions with respect to all restrictions that have to be taken into account when loading the load carriers used. Parallel picking is therefore supported too. A loading list and a 3D view are generated for each load carrier and these can be viewed in detail too if necessary. This information ensures not only efficient and error-free conventional picking. The precise documentation of the picked load also ensures easy completeness checks during subsequent logistics activities. All of this information is available immediately after the receipt of an order if MultiMix is used. Complete and valid information is also provided at this point in time for transport and tour planning. Since the weight and loading height of each load carrier that is used is known, a number of customers who use pallets analyse whether several pallets can be stacked on top of each other, for example by adapting the loading height, so that additional benefits can be reaped in the utilization of transport capacities. The MultiMix module mixed pallet loading can also be used to control palletizing and picking systems. The potential uses for this module will be explained in more detail under Multi2Control. An intelligent loading of the load carriers and means of transport that are used, e.g. 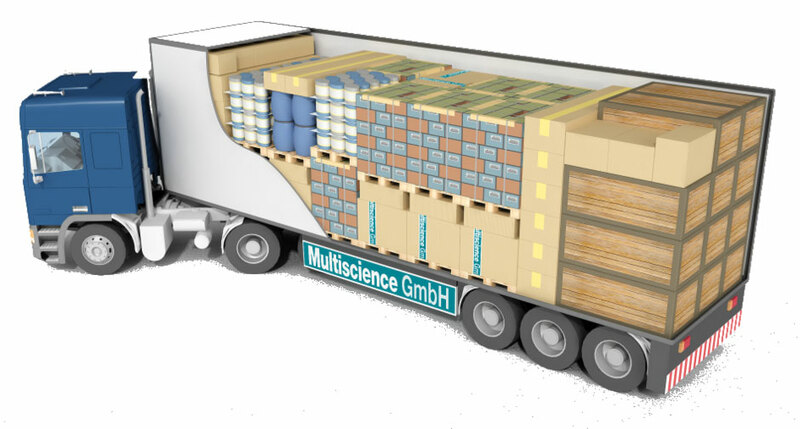 HGVs, semitrailers, containers and swap bodies using this MultiMix module leads to considerable savings in transport costs every single week since MultiMix guarantees the maximum utilization of the transport capacities. A timely and exact calculation of the storage plans shortens the loading time and increases the security of the load. Will the specified load fit onto the planned load carrier? Is there any storage space left in this load carrier for further (partial) orders and if so, how much? How many, and which of the available load carriers will be needed to maximize utilization of the storage space? How will the load be distributed? Is the load’s centre of gravity within the permissible area of the load platform? Does the specified tour plan allow the individual orders to be unloaded in sequence? The MultiMix module HGV/container loading is also used by our customers with special load carriers such as rail wagons, ULDs or trailers to optimize storage space. For example, bi-level loading bridges are also competently supported by MultiMix if variable intermediate floor heights are used. The MultiMix module HGV/container loading is also used by our customers with special load carriers such as rail wagons, ULDs or trailers to optimize storage space. For example, bi-level loading bridges are also competently supported by MultiMix if variable intermediate floor heights are used. The MultiMix module HGV/container loading generates a loading list for each of the load carriers to be used with details of the overall weight of the load, the degree of volume utilization as well as the position of the load’s centre of gravity. The 3D graphic representation of the loading plan can be viewed on screen in steps (forwards/backwards) and from any angle. 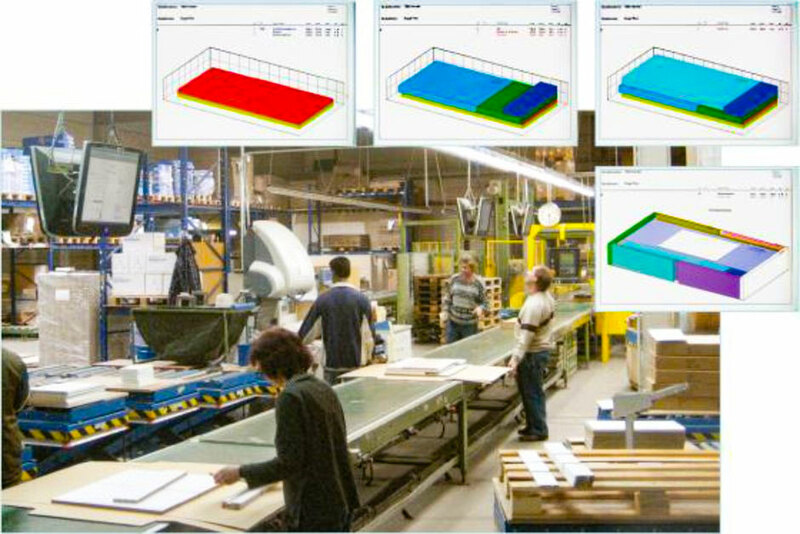 A phase-by-phase printout of the 3D storage plans or corresponding on-screen support can also be offered according to the specifications of the user. Furthermore, the storage plans can be interactively modified through the use of a 3D editor integrated in the software system. Since MultiMix can also record cost parameters for the load carriers and means of transport that are used, it is also able to identify those means of transport or transport containers with the lowest costs. This MultiMix module of course gives users the chance to interactively modify the generated storage plans.